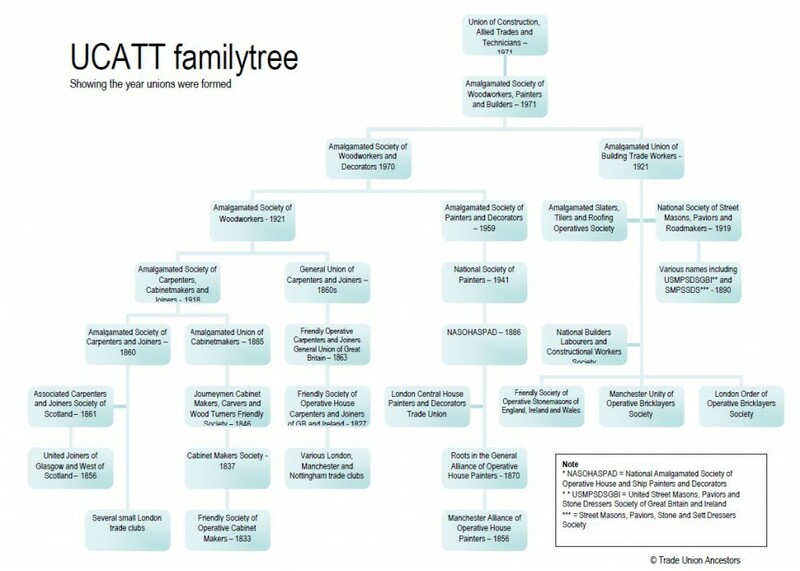 This page shows the origins of the Union of Construction, Allied Trades and Techicians (UCATT) in the form of a family tree. Click the images to see a larger version, or download them all in PDF format using the link below. Union of Construction, Allied Trades and Technicians family tree.